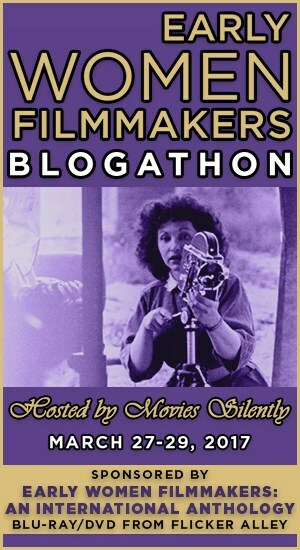 WELCOME TO JO GABRIEL & THE LAST DRIVE IN’S –500th POST! Halloween is around the corner, I hear the rusty gates creaking, rattling of skeletons, the flapping wings of jolly bats, smell the candy corn and Hershey’s kisses and the owls are hooting, the spooks are spooking, and I sense the chill of night seeping through the curtains as the best holiday of the year is upon us! What better way to honor such a ghoulishly ghostly and creepy eve than to explore one of the all time great movies, ghost story not withstanding in honor of my 500th post… yes long winded me has finally reached a milestone. How do you begin to write about a film that continues to share the spot of favorite movie in my world alongside Rosemary’s Baby? What can I say that hasn’t already been said about Robert Wise’s masterwork that is The Haunting 1963. How do you even give suitable tribute to a timeless masterpiece that defies genre and deserves to be upheld as un-remakable. Incidentally I was reading Pam Keesey’s terrific essay The Haunting and the Power of Suggestion: Why Robert Wise’s Film Continues to ‘Deliver the Goods’ to Modern Audiences. 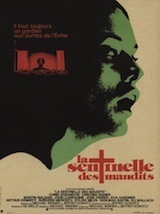 Keesey points to a comment that Stephen King makes, while admiring Wise’s film he remarks, “Something is scratching at the ornate, paneled door… Something horrible… but it is a door Wise elects never to open.” Once again Pam Keesey cites Wise’s influence as written about in Edmund G. Bansak’s wonderful Fearing the Dark: The Val Lewton Career, one of my favorite books in my library. 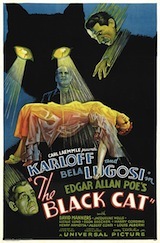 Wise finally found a film that could pay homage to his mentor Val Lewton. Sorry, Stephen King, but we don’t always need to see the monster– Val Lewton understood that well, and managed to create some of the most compelling moments of terror for us, just by suggesting, and triggering our own innate fears of the unknown. This is one of the most essential working mechanisms of Wise’s The Haunting that has withstood the perils of time. 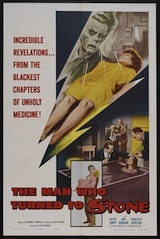 Robert Wise worked as an editor among Val Lewton’s magic team of artists. He learned the secret to any good work of fantasy/horror/suspense/noir is to suggest BUT not reveal what is the heart of the narrative on the screen itself but allow our own subconscious fears and anxieties to do its work. Much credit has to be given to Nelson Gidding’s (I Want to Live! 1958, The Andromeda Strain 1971) remarkable screenplay. 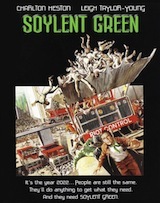 According to Bryan Senn in an interview in 1995, “I persuaded United Artists to buy the book rights for me and finance a screenplay. And I got Nelson Gidding, who did I Want to Live! 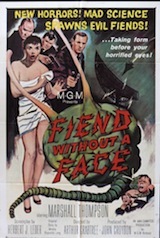 (1958) for me to do the screenplay. When we got it done however United Artists got a little cold on it and didn’t want to proceed with it. So I talked to my agent about it. I had left a contract with MGM a few years before; I got out of the contract early but I had to promise to give them another film. THE HAUNTING, Claire Bloom, Russ Tamblyn, Julie Harris, Richard Johnson, 1963. 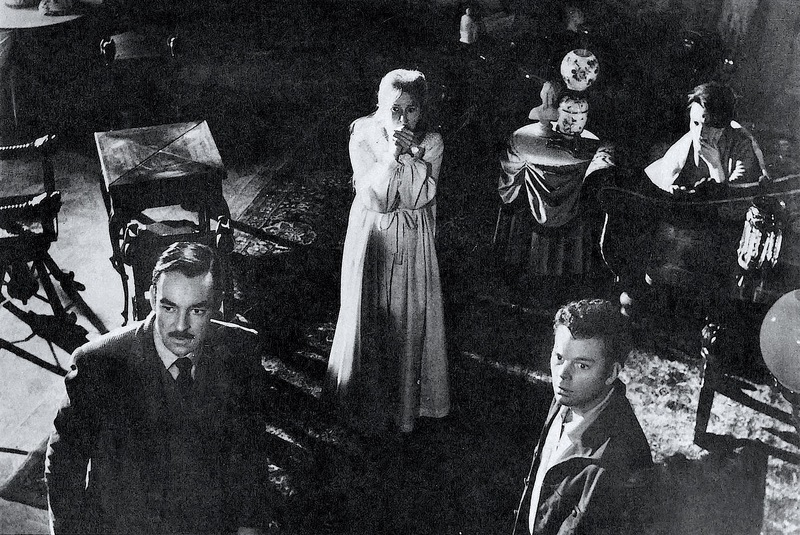 The studio wasn’t keen on a supernatural horror thriller, nor of the idea of not using big named stars for the picture.Wise wanted to use classically trained actors like both British Shakespearean actors Richard Johnson and Claire Bloom and American actress Julie Harris.Wise also wanted to work with Russ Tamblyn again whom he worked with in 1961 on West Side Story. Tamblyn was reluctant to do the part after reading the script but threat of suspension from the studio urged him to take the role. Years later he recounts it being one of his favorite roles. Luck will out and Wise needing to go over to England for a command performance of West Side Story, was able to use MGM’s little studio outside London called Boreham Wood Studios which gave him a bigger budget to work with. And I can say without any doubts, that I’m with Robert Wise- when I was little, watching The Haunting even during the day, sun shining outside, my heart would pound and I would feel a restless shudder as I sat quietly watching what I consider to still be one of the scariest films of all time. And though I’ve seen it again and again, I still feel said hackles up the back of my neck. The shivers of fear and dread, and a true sense of terror that grips you every single time! The confluence of artistry, Robert Wise’s sensibility that he synthesized from working with Val Lewton, Jackson’s incredible ghost story, Gidding’s compelling script, the collective of ensemble performances by all the great actors involved, the effective score by Humphrey Searle, and idiosyncratic and visually disorienting cinematography by Davis Boulton (Stage Fright 1950, I Thank A Fool 1962) The sense of place and the incredible performances that inhabited that uncanny space. All these elements went in to create one masterfully crafted visual narrative, psychological maneuver, tale of terror and one memorable landscape of uncanny dread and paranoia. The house itself was set in England and not the story’s old money New England territory. While there are numerous tales of haunting in England, Jackson’s story was set in New England and Wise wanted to stay close to the novel’s reality. It wasn’t hard to find the right house in England however, the more daunting task was getting the roads closed off so Julie Harris could drive her car on the wrong side of the road for the scene where she travels to Hill House. Robert Wise explained in Fantastic Films, that “We wanted a house that basically had an evil look about it” He finally found the perfect house in Warwickshire, a 200 year old manor house called Ettington Park, Wise felt that its, “facing of mottled stone with gothic windows and turrets” was exactly what they needed. 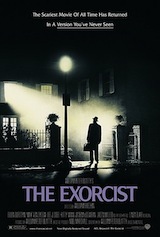 The house possessed an “unexpected, even frightening, authenticity” According to Russ Tamblyn, “It was definitely a strange place, especially the grounds. The house itself, had a history… oh, children who had been murdered, and a twelve year old who had committed suicide, some other woman who had fell out of a window.” Not to mention the little cemetery out in the back which was supposedly haunted. People had seen ghosts there. The film is powerful in the way it brings us into it’s mystifying grasp. 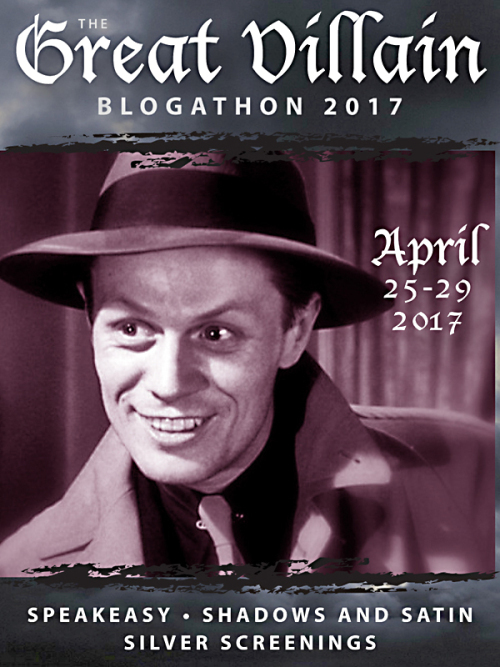 We hear the velvet tones of Richard Johnson narrating us, greeting us if you will to join the haunting. His voice-over the visual montage of past events that reveals to us the menacing house. The inception of it’s evil roots, a domineering man Hugh Crain had built Hill House for his wife and daughter, “in the most remote part of New England he could find.” In a freak or strange accident the wife had “died seconds before she was to set eyes on the house.” Her carriage crashed against a tree, her lifeless arm hanging out of the carriage in close up. Crain’s second wife floats down the dark Victorian style hall (Wise was the editor on The Magnificent Ambersons (1942), the figure of the wife moving swiftly through the darkness reminds us of that film-This impression is also confirmed in More Things Than are Dreamt of edited by Alain Silver & James Ursini ) then tumbles down a flight of stairs breaking her neck. Having read an interesting essay that touches on Robert Wise’s 1963 ghost story from Hidden Horror the chapter on Carnival of Souls by Prof. Shelly Jarenski- She makes a few interesting comparisons to Carnival of Souls 1962 Such as the prelude… “… And we who walk here… walk alone.” in my malleable childhood mind, both the prelude and the coda stayed with me like a creepy lullaby or maudlin soliloquy. Jarenski asserts “The film’s core themes are encapsulated in that line uttered by the misfit heroine Eleanor Lance.” I would totally agree with her assessment. The Haunting not just merely being a ghost story, is a story about an alienated loner, a ‘misfit heroine’ who is in dire search for relief or release, possibly from this world. We too are witnesses to a lonely disillusioned woman (I loathe to use the word: spinster) most likely a virgin who is longing to make a connection. The Haunting (1963) could be said to be the penultimate example of ‘nothing up that proverbial sleeve’, and ‘it’s what you don’t see’ cinematography. The visual narrative is what makes it timelessly heart-pounding to watch and what gives it an artistic atmosphere of misdirection, anxiety, hysteria, dread, romanticism, and well, yes, that “haunting’ feeling. Memorable scenes of veiled terror lurking in the corners, or beyond the massive wooden door frames. The allusion to the various cold spots underscored by trilling piano keys. Stark frames that capture a portion of the house, as if itself a live entity. Dr. Markway refers to the house being ‘born bad’. The manifestation of the angry and tyrannical Hugh Crane who built an evil house. There are so many moments of The Haunting that have stayed with me for years. And I must admit that I usually watch it several times a year, like one makes pot roast because the craving strikes you at that moment. 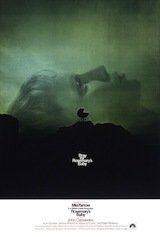 “It’s time to watch The Haunting again,” is heard in our house. I can never forget the moment when Julie Harris as Nell awakens from a frightening moment where we hear a child’s muffled laughter swiftly turning to a menacing scream. She tells Theo that she’s breaking her hand, she’s holding it so tight. The camera only focuses on Nell and her outstretched arm in the darkness, swallowed up in her ornate room, like a fly in a spider’s web. When she can no longer bare Theo’s tight grip, she screams “Stop it!” and turns the light on, only to find in horror that she’s been holding a ghostly hand. “Who’s hand was I holding?” Theo is shown across the room, still lying in bed unaware that Nell had been going through any nightmarish ordeal. And of course there’s the eerie and otherworldly invisible assault on the two women as something unseen pounds on the doors with a ‘cannonball’ Disembodied laughter, scratching, growling and Baroque style brass doorknobs with Medusa’s face that turn ever so slowly, as if something trying to gain entry into the room. There’s also emphasis of a powerfully imposing use of matrix work utilizing the inherent designs of the interiors itself, textiles and wallpaper and wood carvings to create diabolical faces watching back at us. The stone and bronze cherubs and gargoyles that inhabit Hill House, the myriad of mirrors and long winding hallways mixed with the turbulent sky outside the towering Hill House. The iconic scene where the door seems to expand as if breathing was actually two technical people who used 2×4’s to push into the middle to create the effect. It’s that simple and yet, is one of the most lasting scenes in film history. Based on the book by Shirley Jackson The Haunting of Hill House, which is a hell of a read, but as a rarity, the film invokes the uncanny of the story even better than the novel. 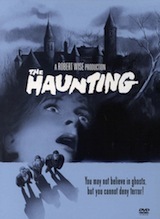 Robert Wise made The Haunting in 1963 as a way of paying homage to his mentor, Val Lewton, who had died 12 years earlier. The great Fay Compton as the crusty waspy Mrs. Sanderson-warning Markway that the dead are not restful at Hill House. Markway initially amasses a collection of names of potential participants in his experiment as we see he chalks their names on his blackboard. Eventually the names drop off and there are only two women who arrive to help him uncover the truth behind the legend of Hill House… is it truly haunted? 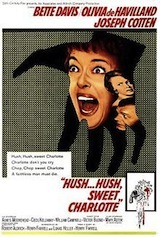 Mrs. Sanderson sends along her cocky nephew out of the Midwest, Luke (Russ Tamblyn) to accompany Dr. Markway since one day Luke hopes to inherit Hill House. The exterior of Hill House is an actual Hotel called the Ettington Park Hall Hotel in Stratford Upon Avon in England. The interior sets were brilliantly designed by John Jarvis. We meet Eleanor ‘Nell’ Lance (Julie Harris) in her sister’s living room which doubles as her bedroom. The very hypersensitive Nell is being tortured by her sister, brother-in-law and their precocious brat of a child who insists on playing a child’s record march consisting of inane flutes and snare rattles, causing a pervasive tenor of chaos, madness and dysfunction. Like nails on a blackboard, the little tune serves not only to cause psychic aural conflict and irritate Nell, but it also pulls us into her sense of being trapped in a claustrophobic world where she must break free. Nell steals the family car and hits the road with all her belongings in a box, driving out of Boston out into the light of the New England air toward something, anything even the unknown which would be better than the captivity she’s been experiencing. She is one of the people Dr. Markway has invited to participate in exploring Hill House. Eleanor is the first person to see the ‘vile’ house. 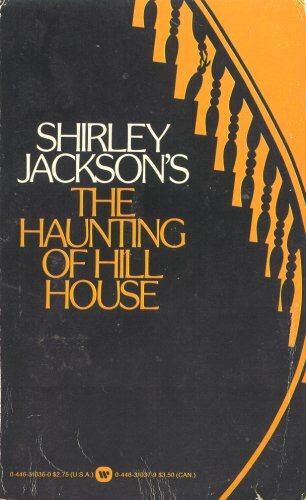 Silver & Ursini frame it by Jackson’s occult vision, that Hill House is the cause of Eleanor’s ‘deliverance and destruction’. How Eleanor’s religious discourse becomes an ironic fate that turns inward on itself for in the end, “journeys end in lovers meeting” Eleanor’s volatile relationship with Hill House is absolutely one of love/hate. No one will hear you scream… Mrs. Dudley’s expression is somewhat a combination of that intense little fellow, the prairie dog from the viral youtube video where he turns around and stares, and Lewis Caroll’s Chesire Cat. The ‘Adventurous All’ get together, trading small conversations and observations, while Hill House begins to reveal it’s cold heart. Or is the house truly a bad place? Built by a man who used odd angles, and macabre embellishments, he created one ‘distortion as a whole” as Nell comments. Hugh Crane, a man who was a religious zealot, entrapped his daughter in the foul house until her death as an old maid. She grew up and grew old in the house, where a series of mysterious accidents, suicides and deaths ensued… Hill House is the epitome of “Dark spaces’ or “Bad spaces’. That begs a larger question. Can a house be born bad, or has Nell’s neurotic fixations and need to belong cause her to unravel the mysteries of the place much quicker? Is it just her longing and alienation that has created a certain madness or is it both a ghost story and a story of abject loneliness and psychosis? 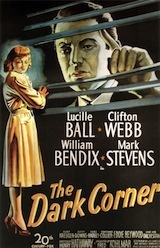 Much like a Lewton story, there is the feeling of intense loneliness, imbalance in the environment that is either mental or perceived to be reality, and an ambiguity that links these elements to the supernatural world. Something that begins to cause friction between the ensemble because Nell has fallen into the well of deep delusion and longing, for Dr. Markway not realizing that he is not just only interested in her as a test subject but he is already married. 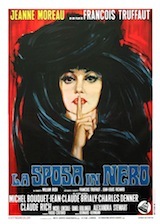 Theodora dressed like a black widow spins her web of jealousy yet revealing the truth about Markway and Nell’s unrequited love. Markway sees that Nell is unraveling and threatens to send her packing. Poor Nell is a tragic Gothic figure, whose famous inner monologues might slightly touch the third rail of hysterical camp, yet somehow manages to become a restrained performance of inner turmoil and madness that perfectly co-exists parallel to the odd and uncanny manifestations escalating in Hill House. With a rainstorm of inner monologues to guide us through the treacherous darkness. Mrs Markway shows up unexpectedly and asks to sleep in the most rotten heart of the house… Nell obliges by telling her about the nursery… which until now had been sealed. The poor bedeviled Nell dances with the statue of Hugh Crane.. believing that both he and she have killed Grace Markway..
Grace Markway ( Lois Maxwell) Doesn’t go untouched by the dark forces that lay behind the stone and silent standing wood… well maybe not so silent! 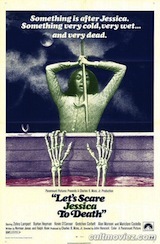 Next Next post: A Very Ghoulish & Giffy Halloween from your ever lovin’ MonsterGirl! 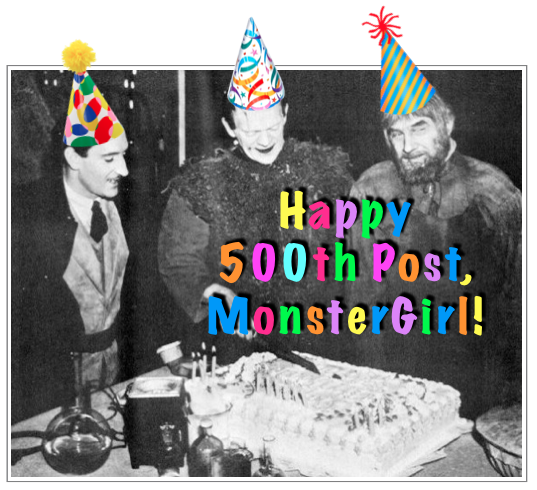 Happy 500th Post, Jo! That is an impressive milestone. Congratulations!